The Baron River runs through the World-Heritage listed Wet Tropics of the Atherton Tableland, just 20 minutes drive from Cairns. The Russel provides continuous, exciting whitewater as it winds through a narrow, steep gorge an hour’s drive outside of Cairns. 2 hours south of Cairns, the Tully River has 45 rapids that cut a steep course through some of the World’s most ancient rainforest. Rafting trips on the Johnstone are in such a remote rainforest wilderness, that the journey begins with a helicopter ride into the heart of the region. These rapids are some of the more challenging Australia has to offer. Tropical North Queensland is most famous for its off-shore reefs, but it is also home to one of the world’s most well-preserved, ancient rainforest. Rafting in North Queensland gives people the opportunity to explore the heart of Australia’s pristine rainforest in a much more intimate manner than is otherwise possible. Highlights include numerous waterfalls, exotic wildlife, sacred Aboriginal cultural sights, basalt formations, and incredibly lush flora. Rivers range from Class III to Class V, and trips range from 1 to 6 days in length. 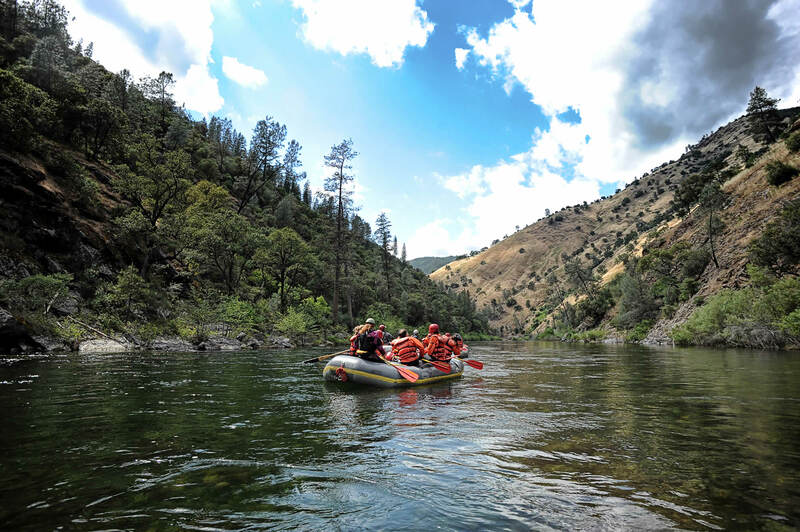 There are whitewater choices for everyone, from families looking for a day of fun, to adventurers seeking an expedition-style journey.